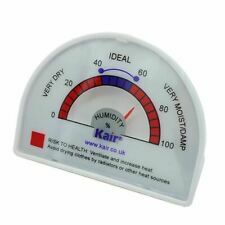 MAP 97333 Gold Aluminium Door Vent 24" X 3"
KAIR BUDGET HYGROMETER: Analogue Dial Hygrometer A handy budget hygrometer to measure humidity from 0% to 100%. 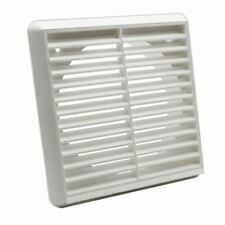 Enables you to tell at a glance if a room is too dry or too damp. 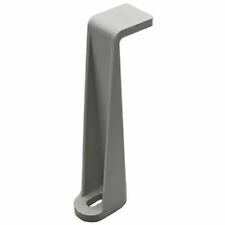 Can stand on desk or shelf or be hung. Suitable for all uses. No batteries required. Accuracy specification: 40% below /-7%RH 40%-75% /-5%RH 75% above /-7%RH Material: ABS Colour: White Please note that models / design / colours may vary with each shipment. 1 x 5" (133mm) x 6m PVC Extension Hose. Provides an extension to your existing hose. This will enable us to assist you more thoroughly with your request and to deal with any difficulties. 1 x 5" (133mm) x 3m PVC Extension Hose. Provides an extension to your existing hose. This will enable us to assist you more thoroughly with your request and to deal with any difficulties. •Motor 230V / 370Watt. Technischen Daten •Gewicht ca. 9,1kg. Ducting Pipe Reducer. Circular reducer/adaptor to connect round pipe ducting, flexible hose & fan spigots. Duct Connector Duct Size 100mm (4") For use with the 100mm (4") Round Pipe Ducting systems Connector fits into 100mm (4") round pipe ducting to connect two lengths together in a straight line. Colour: White. •Motor 400V / 370Watt. OBR200T Industrial Centrifugal Blower Fan Technischen Daten •Gewicht ca. 9,1kg. 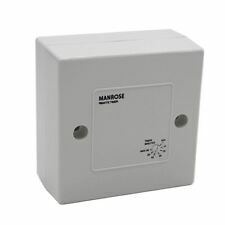 KAIR SYSTEM 150 RECTANGULAR WALL PLATE Square wall plate with 4 x holes for fixing screws and rectangular socket. Designed to improve the aesthetics of ducting installations. 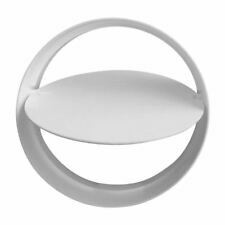 Use to cover areas where ducting passes through walls or other solid surfaces. Map G.A.A. Door Vent. 24" x 3" 610mm x 76mm (5136sq mm) . Industrial Centrifugal DOUBLE - INLET Blower Fan. •Motor 230V / 430Watt. 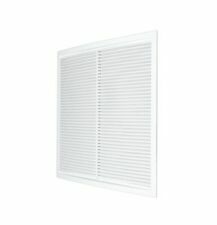 OCES Industrie Double -Inlet Radialventilator. •Drehzahl max. 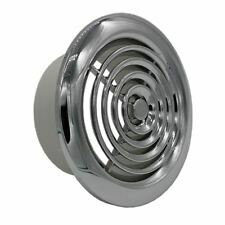 KAIR GRAVITY GRILLE 125MM ROUND SPIGOT - BROWN Brown plastic ducting air outlet with gravity shutters. UV stabilised design to help prvent colour fade. Gravity flap - no need for springs that break. Various offcuts (and one full 3m length) and 5 100mm bends. 150mm x 0.5m. 150mm x 1m. 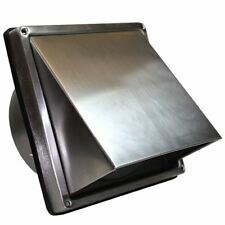 INDUSTRIAL EXTRACTOR FAN IN GOOD WORKING ORDER.SEE PHOTO FOR SPEC. 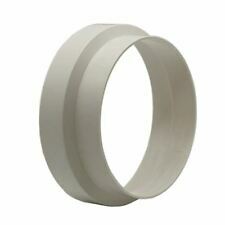 This female duct coupling is designed to join two male duct fittings such as 90 / 45 degree bends or reducers together. Common applications for this coupling include as part of air extract ductwork for Bathroom or Kitchen extractor fans tumble dryers or cooker hoods. 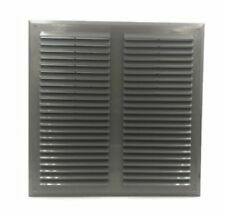 Ventilation grates are used as endings of ventilation ducts. 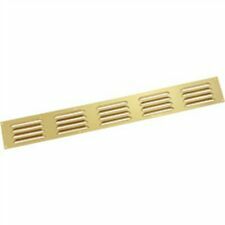 The TRU series grilles are made of plastic and are characterized by the lack of a mounting flange at the back which makes it easier to choose a grill for an unusual ventilation opening. 4.1 M length of pipe (two sections, one 3m and one 1,1m). Air brick and hit & miss grille U.V. stabilised to slow down the effects of sunlight. External water baffles prevent transfer of water across the cavity. Equivalent Area: 30,000mm² (300cm²) per set (tested to BS EN 13141-1:2004 and independently verified by the BRE). 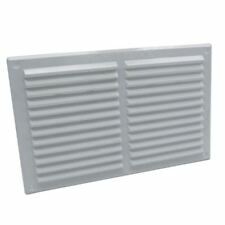 HU ROOF COWL - 100MM For air exit above roof. Provided with a female connection which fits outside a ventilation duct. Large Industrial Centrifugal Blower Fan Galvanised Commercial Extractor 10"
Axial Paddle Blade Hidria R11R 4030 P-4M 5137 FAN 1345/1500RPM.